Business is booming for the little street racing franchise that could, but is the huge commercial success justified? Well, yes and no . . . Furious 7 is without doubt the biggest/loudest/crashiest/smashiest/explosioniest instalment so far, and while that offers killer adrenaline shot after killer adrenaline shot, by the end, you may just want a quiet sit down with a cup of cocoa and a biscuit. This is particularly problematic when the best action sequence falls midway through the film. The plane drop mountain chase is expertly crafted. It delivers breathtaking derring-do, while never skimping on the character work that elevates the greatest action scenes. It’s a brilliantly visceral piece of cinema, made all the more gripping by the knowledge that a huge chunk of the driving is done by real flesh-and-blood stunt men. But, it also means the city-crumbling finale pales in comparison. It’s longer, louder, less focused and lacks the finesse of the mountain sequence. Elsewhere, James Wan’s (director) acrobatic camera has a tendency to leer at nameless (and virtually faceless) young women. While it fits with the whole fast cars, faster women thing, it feels pretty damn creepy. But, it’s a problem the franchise has always had, quite frankly. What these movies also have, however, is a tremendous amount of goodwill towards these characters. The character work is key throughout 7 and, while many of the intricacies were lost on me (I remember Fast 5 fondly, but never caught Fast & Furious 6), the sense of family is terrifically rousing. Which brings us to Paul Walker: a noble hero lost far too early. As I’ve said, I drifted off (no pun intended) towards the end of the final set-piece, but I was pulled right back on board by the film’s disarmingly sincere, and surprisingly touching, send-off to Walker’s Brian. While this film falls short of Fast 5 in terms of consistent thrills, it delivers the wildest action scenes yet and a truly moving tribute to Paul Walker. 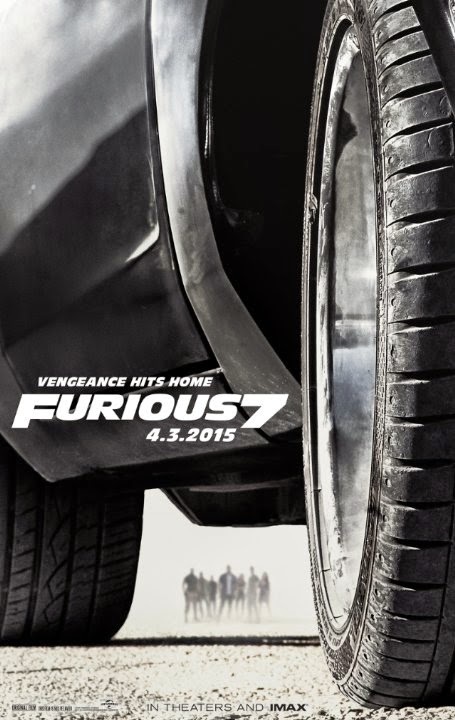 Furious 7 is out now on DVD!